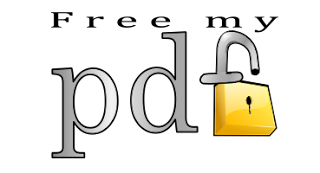 How to Remove Passwords from your PDF FilesFeel Free To Ask Anything. Hope you like it. Enjoy and don’t forget to comment. Some PDF files come with restrictions that limit our work. We can’t print, copy or edit the content of an encrypted PDF file. And this could be the case even when you have the legal right to modify the document or copy from it that are protected by a long and complex password. You know the passwords but it still feels inconvenient and boring typing them each time you have to open a PDF file. There’s a free Windows utility called BeCyPDFMetaEdit that can help you remove passwords from PDF files* but without make any other change to the document. (I am not sure why the developers picked such a complex name for this useful utility). 1. Downaload BeCyPDFMetaEdit & Install it on your PC. 2. Launch the program and it will ask your for the location of the PDF file. 4. Switch to the Security tab and set the “Security System” to “No encryption.” Click the Save button and your PDF will no longer require a password to open. Note: - To Remove Password From PDF File, You have to once enter the correct password on BeCyPDFMetaEdit.